Thank you, Juno, for introducing me to orange flavoured Tic-Tacs and for countless other reasons. While every other teenager was falling in love with High School Musical, I was smitten by one teen flick in specific- Juno. It doesn’t happen so often that you find a film that is funny, has life lessons to share and also plays with your emotions. Juno focuses on the life of a sixteen-year-old girl named Juno MacGuff who finds out that she is pregnant with her friend Paulie Bleeker. Her relationship with him undergoes some unanticipated strain during the pregnancy as Paulie also happens to have feelings for Juno. If you’re getting the impression that it is some cheesy, romance movie, then force it out of your brain because it is quite the opposite. Romance is more of a secondary theme and the film centres more around Juno’s journey as she comes into her own as a young adult. Ellen Page, then 19 years of age, really fit into the character of a teenage girl yet, she brought a degree of maturity to the movie. In spite of her unplanned pregnancy, Juno was an intelligent, decisive, and empathic young woman. She had the rebellious desire to feel purposeful in life which drove her decision to see her pregnancy through till the end and that marked the teenager in her. Furthermore, she was confident, brave and generous in aiding a childless couple. These characteristics contributed to the part where her character was more inspiring rather than being just ‘some other dumb, knocked-up teenager’. ALSO READ: Jackie: With a haunting portrayal of the First Lady, could this be Portman’s second Oscar? The film also featured some of J.K. Simmons’ best works. 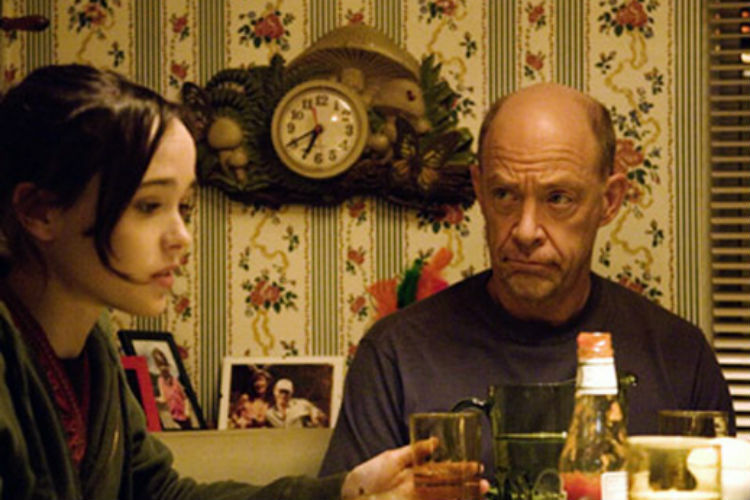 Simmons played Juno’s father in the film. The plot depicts that a supportive family can help you tackle any obstacle. Juno continues her studies with a burgeoning belly as she proceeded to defy and simultaneously abide by different societal norms. Aside for dishing out inspiration on personal growth, the film also helps identify true love. “The best thing you can do is find a person who loves you for exactly who you are.” Once you get this idea down, life becomes fairly easier. It teaches you that it’s okay to feel the need to lean on someone from time-to-time and feeling vulnerable in a relationship is a prerequisite. So, thank you, Juno, for introducing me to orange flavoured Tic-Tacs and for these countless other reasons.